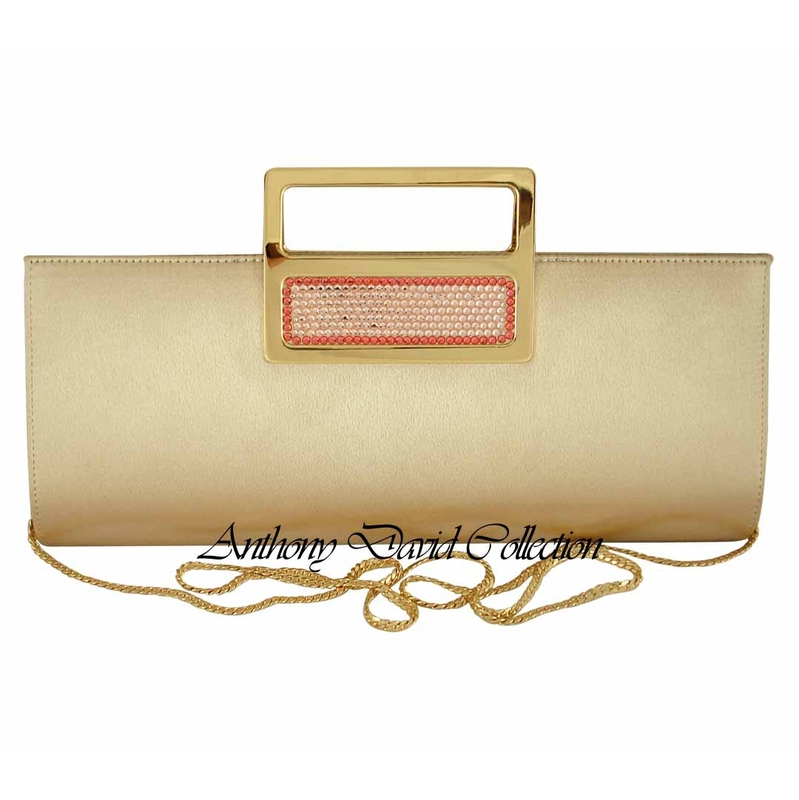 This Anthony David gold satin evening bag has a solid frame and is accented with Swarovski crystals. It is a true gem! 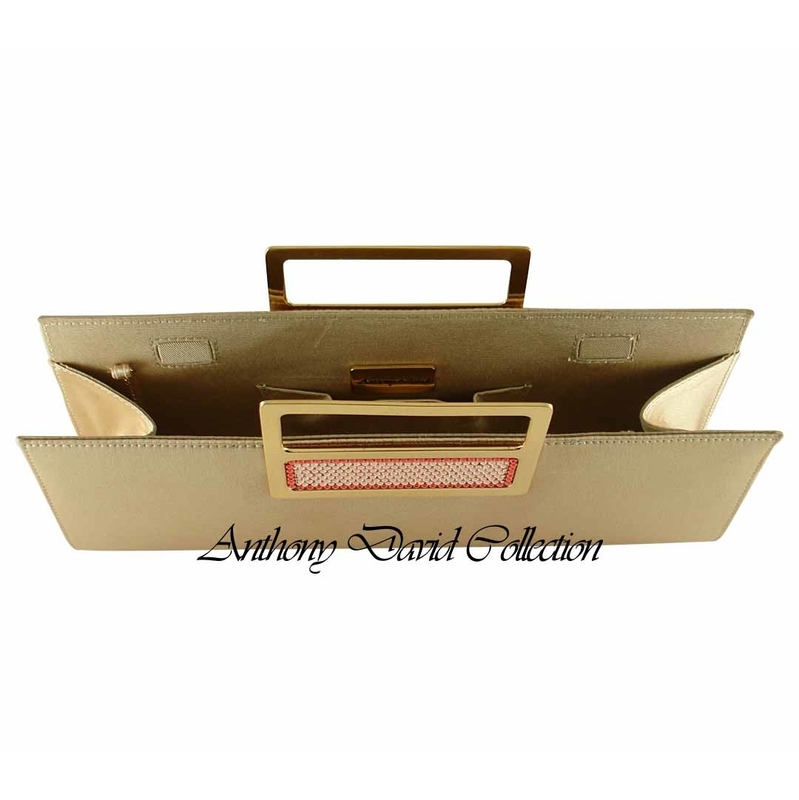 Carry this elegant beauty as a top handle handbag or wear it as a shoulder purse with the optional gold metal shoulder chain. 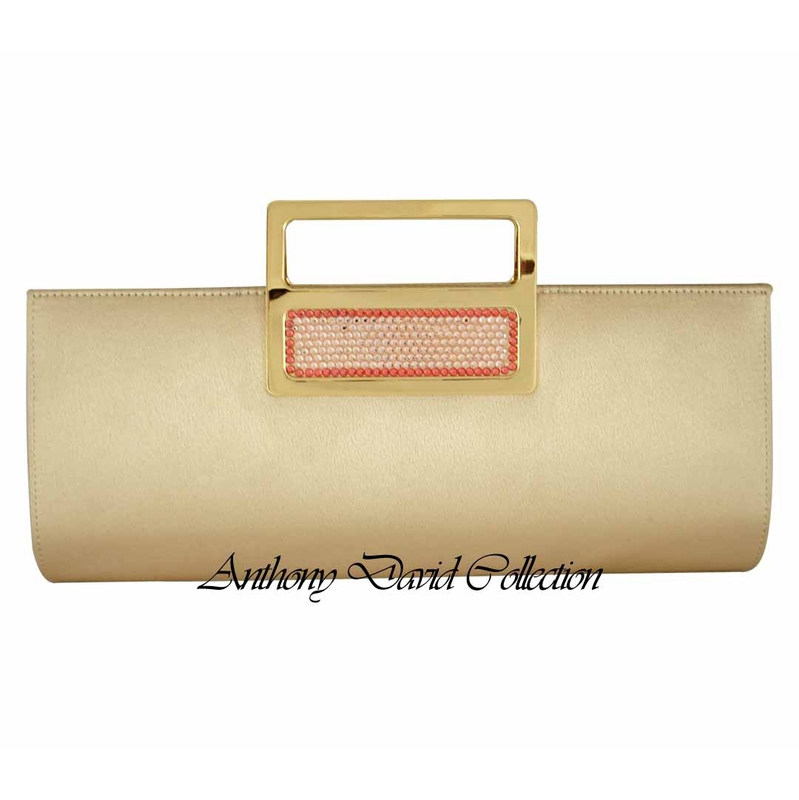 Do not miss our collection of Anthony David Crystal Gift Accessories with Swarovski Crystals.